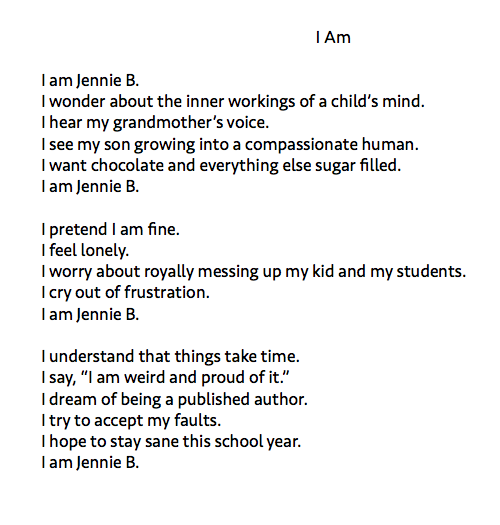 Summer Jennie is much different than School Year Jennie (a.k.a. Ms. Bless). Thanks to Michelle at Big Time Literacy for the idea! Summer Jennie can’t tell you the date and there’s a 50/50 chance she gets the day of the week right. It may not seem like a lot, but my nails NEVER get this long during the school year. Summer Jennie has plenty of time to read books, not just listen to them during a long commute. Summer Jennie only drives if she wants to drive. Summer Jennie only has to wear shoes when entering a store. Summer Jennie gets bored. And she appreciates the boredom because she knows in less than a month, boredom will be something she only dreams about.